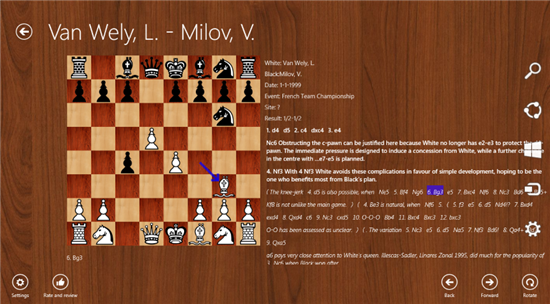 PGNViewer is an application to read chess games from files in PGN format. 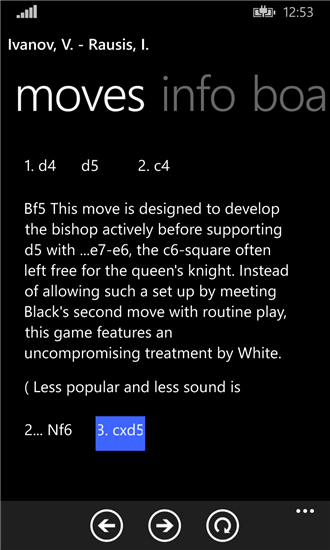 It visualizes the games and moves in an easy to use interface. 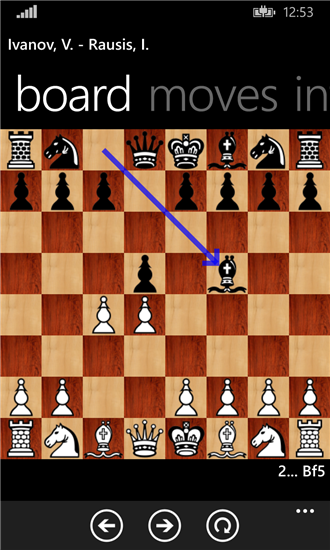 PGN stands for Portable Chess Game Notation, on the Internet you can find millions of free PGN files containing games of your favorite players. 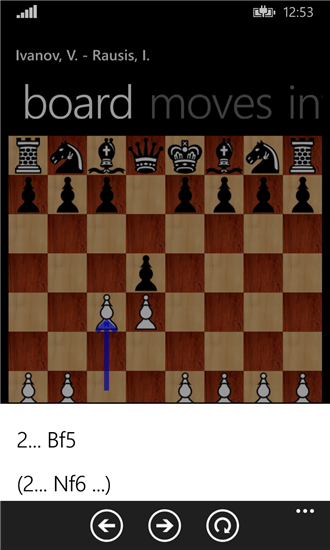 With PGNViewer you can browse and study through those games. 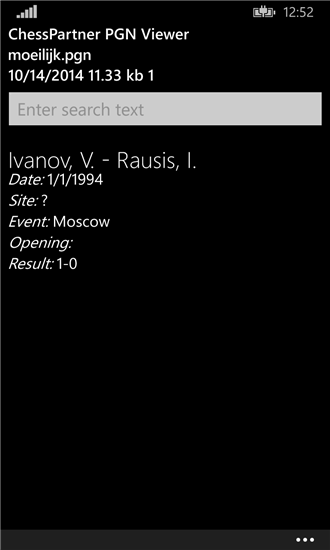 PGNViewer is fast and simple to use, can handle variations, annotations and works with very large files. 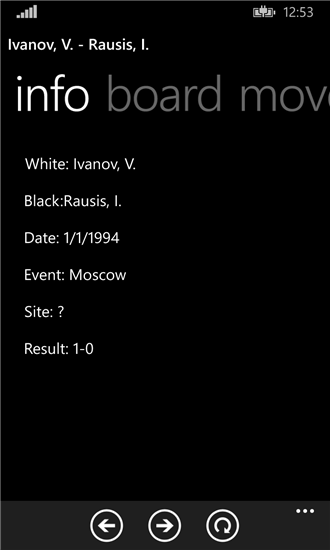 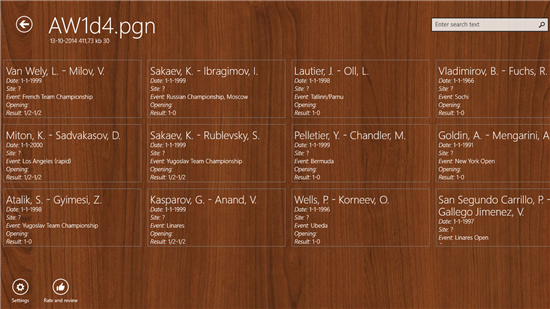 The ChessPartner PGN viewer is available as Windows store app for windows 8.1 or for the Windows phone 8.1.